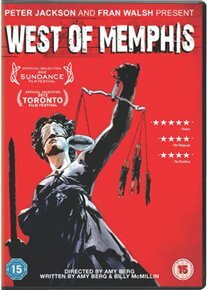 Amy Berg directs this documentary which takes an in depth look at the case of the 'West Memphis Three', a trio of men who served a lengthy prison sentence despite substantial doubts over their guilt. Amy Berg directs this documentary which takes an in depth look at the case of the 'West Memphis Three', a trio of men who served a lengthy prison sentence despite substantial doubts over their guilt. Damien Echols, Jason Baldwin and Jessie Misskelley were still teenagers when they were arrested on suspicion of the murder of three young children. They were released in 2011 after doubts emerged over the forensic evidence used to convict them. Many have argued that the primary reason they were convicted is that they fitted a convenient stereotype. The documentary examines the details of the case and talks to another potential suspect for the crime, Terry Hobbs, the stepfather of one of the murdered boys. Damien Echols, Jason Baldwin and Jessie Misskelley were still teenagers when they were arrested on suspicion of the murder of three young children. They were released in 2011 after doubts emerged over the forensic evidence used to convict them. Many have argued that the primary reason they were convicted is that they fitted a convenient stereotype. The documentary examines the details of the case and talks to another potential suspect for the crime, Terry Hobbs, the stepfather of one of the murdered boys.